Offering physicians access to content through a variety of media including our industry leading, peer-reviewed research journals, video interviews, live events and more. 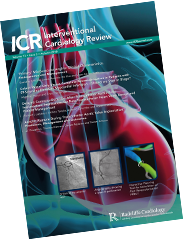 A dynamic and digitally-focused producer and publisher of cardiovascular content for physicians worldwide. Pushing the boundaries of cardiovascular education through collaboration with global innovation leaders. Arrhythmia & Electrophysiology Review 2018;7(3):199–209. Subscribe to get free access to all Radcliffe journals. Should cardiologists receive more nutrition education?